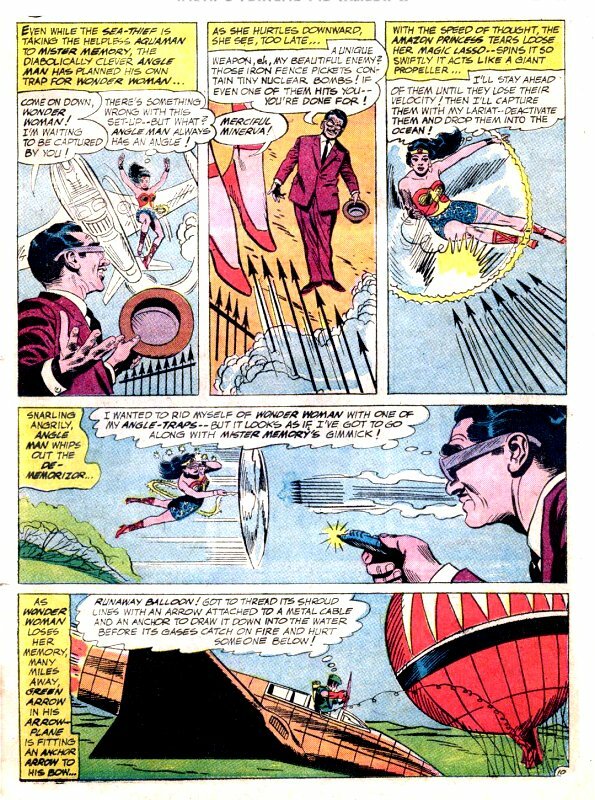 The Menace of the "Atom" Bomb! 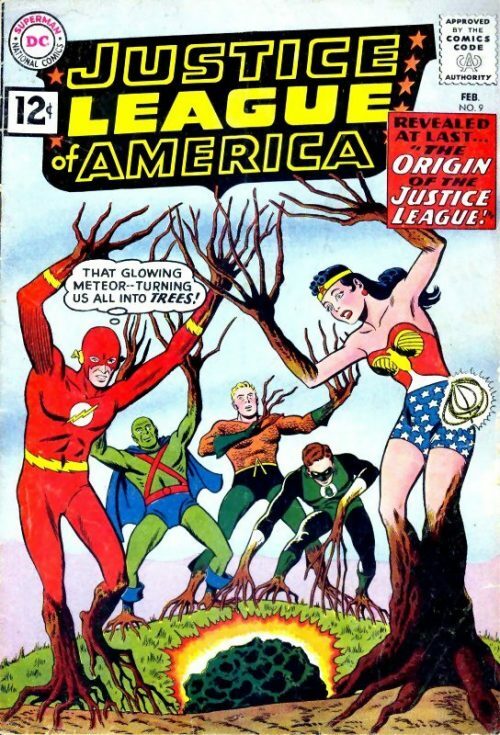 The Atom joins the league. 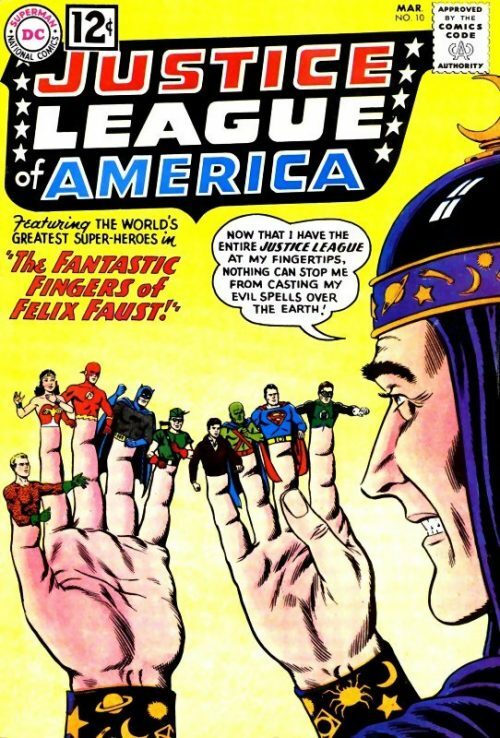 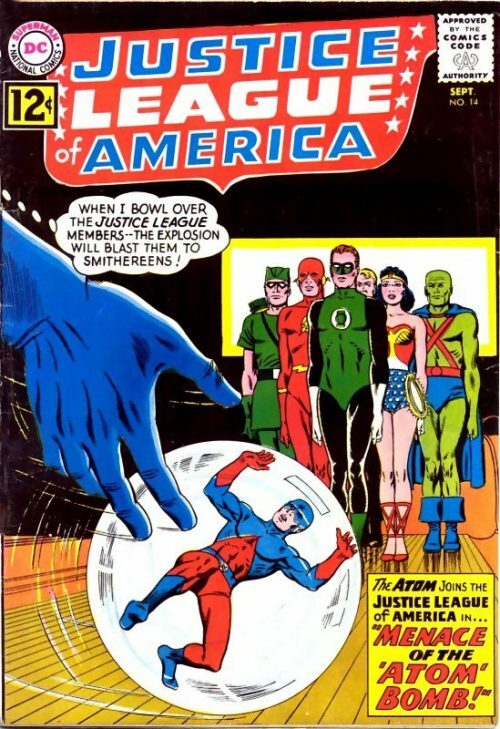 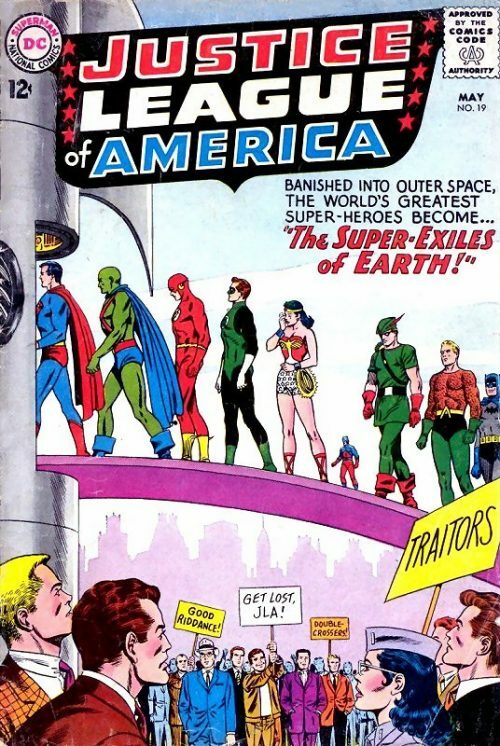 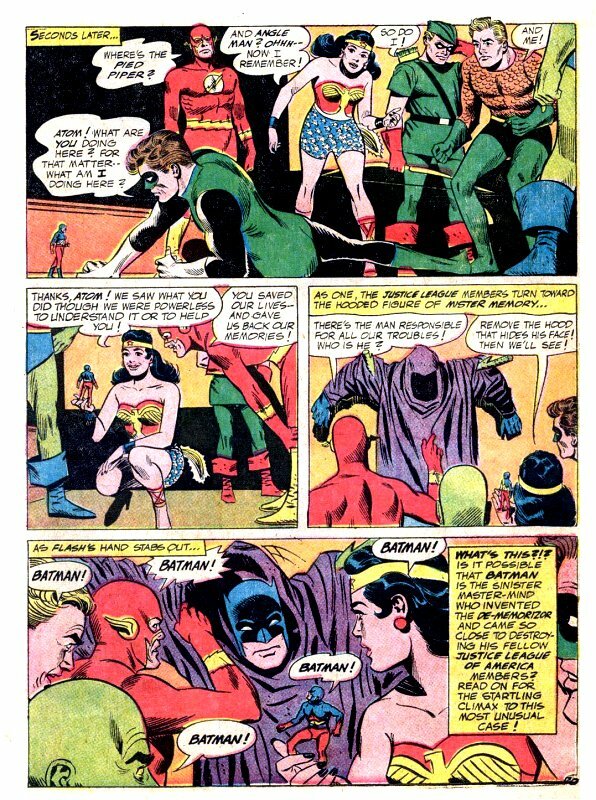 The Justice League unanimously elects the Atom for membership, but nobody remembers who he is. 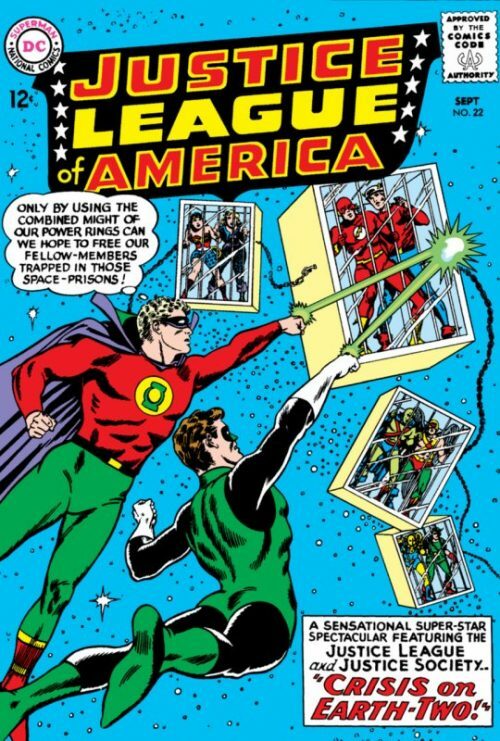 Green Lantern’s Power Ring tells them about the Atom, and they go to investigate in Ivy Town. 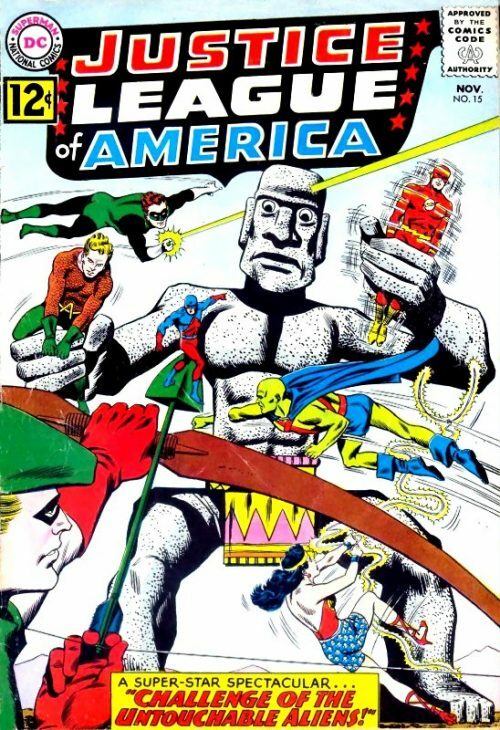 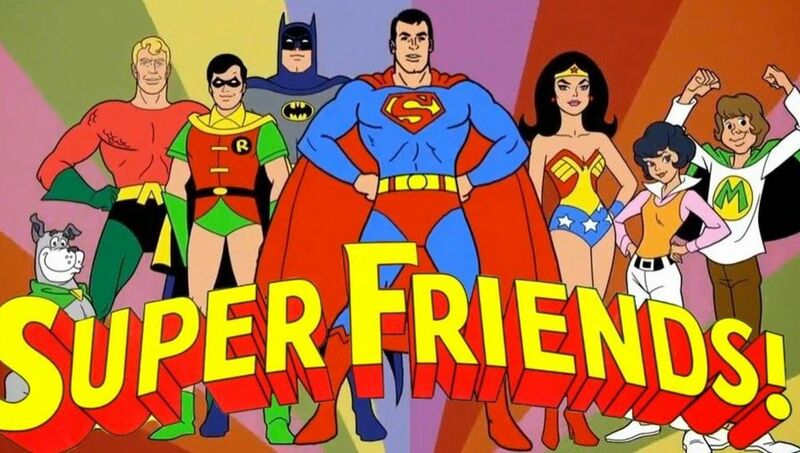 However, the Atom also gets amnesia, the work of Mister Memory and his de-memorizer, who has captured the entire Justice League, leaving Atom the only one who can save them.